Our firm thrives on the interdisciplinary talents of our leadership and each is empowered to support the evolving goals of the practice. The ten principals bring complementary knowledge and skills essential for our success and all play a role in design, marketing and management. Half have spent their entire careers at Payette, while the others bring fresh insight from past experience elsewhere. 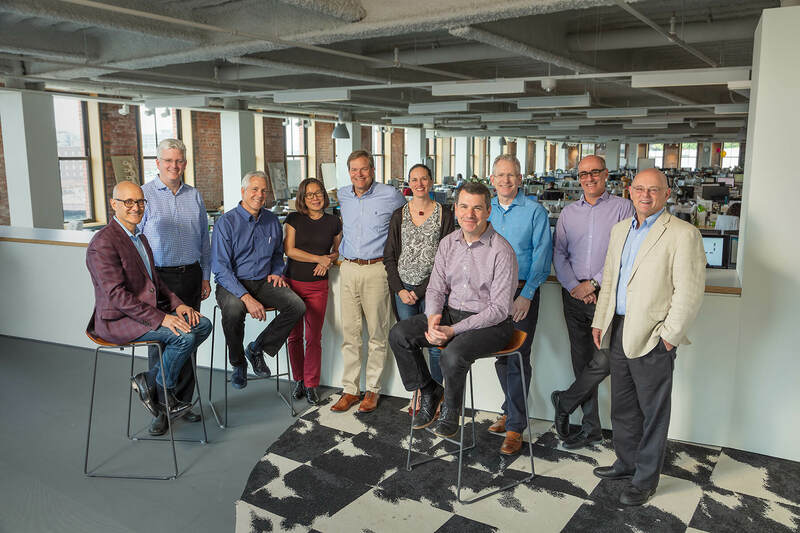 Our four most recent principals embody a cross-section of the firm’s values that have propelled the firm forward contributing to the recent honor of the 2019 AIA Architecture Firm Award. 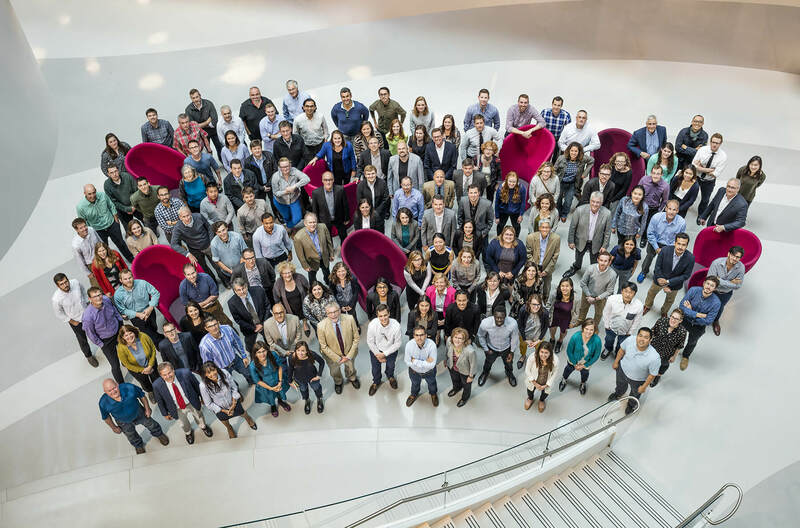 Our firm has undergone generational transitions before and through each we’ve held onto and amplified our ethos through an evolution of leadership. The first transition occured in 1965 when 33-year old Tom Payette became President of the firm, well before the founders retired. His early advancement gave Tom decades to explore new possibilities, not just maintain a legacy. He embraced this precedent, taking on younger partners to expand the practice from its then dozen employees to the 170 we number today. Payette Principal James Collins, Jr., was President of Payette for 15 years. During his tenure as President, he not only raised the design profile of the firm, he instituted innovative sustainability and research initiatives by establishing our Building Science Group, furthering the firm’s ability to solve complex problems creatively. After his tenure as President, Jim now focuses exclusively on his craft as an architect, and remains a firm-wide resource. He was succeeded in 2014 by Kevin Sullivan, FAIA. I was thrilled to provide Kevin with the same opportunity that Tom gave to me. The opportunity to assume a major leadership role in the firm at the midpoint of my career allowed me to be part of an entire younger generation of leadership that was incorporated into the firm at all levels. I’m excited that we will now have such a qualified and inspired leader as Kevin, to not only lead his generation of the firm, but to lead all of us as well. Since 2014, Payette has continued to grow and has been consistently recognized for design excellence. In 2016 alone, Payette received eight national design awards, including an AIA COTE Top Ten Award for the Biosciences Research Building at the National University of Ireland. 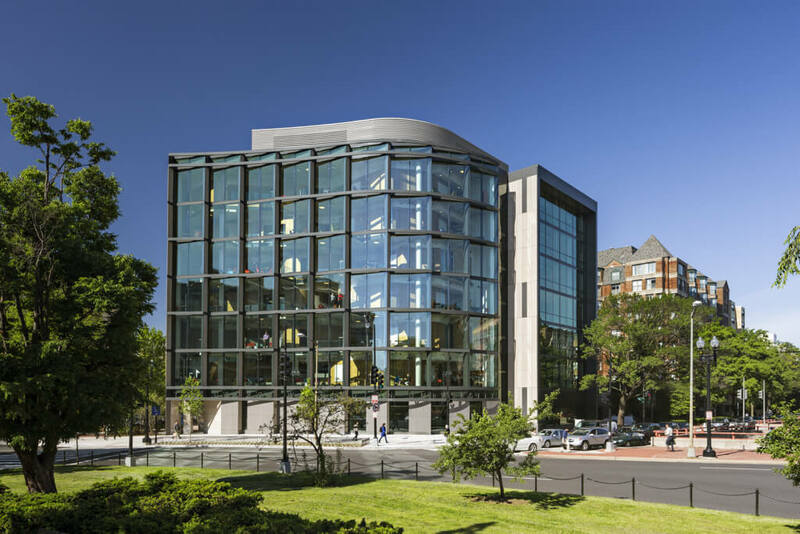 In 2017, the Milken Institute School of Public Health at George Washington University received both an AIA Honor Award for Interior Architecture and an AIA COTE Top Ten Award, making it one of 15 projects to win both awards, and exemplifies our value on the fusion of design and performance, believing that beautiful buildings perform beautifully. The pattern of multigenerational leadership set in motion by Tom Payette has shaped our collaborative, entrepreneurial culture, and it underlies the dynamic between expertise and innovation that has led to the rapid advancement of the practice. This continues with our current leadership at the helm, striving for equity in the next generation of leaders, which is already in the pipeline. Drawn from a deep bench, this generation will continue to bring new skills and ideas to the practice. The cycle of regenerative leadership is poised to renew itself once again.